What with my hectic trip to England last week, Christmas is really creeping up on me this year. Fortunately Miss Chicago took it upon herself that the Christmas decorations should go up extra early so at least our house is looking festive. 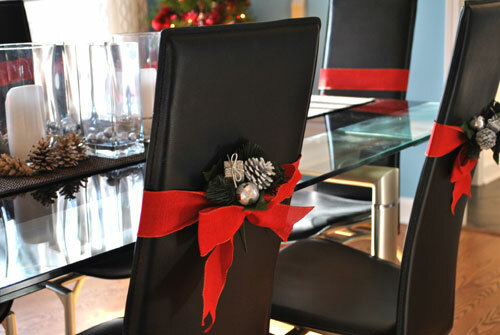 One of my favorite things she did was create these beautifully simple decorations for our dining room chairs. 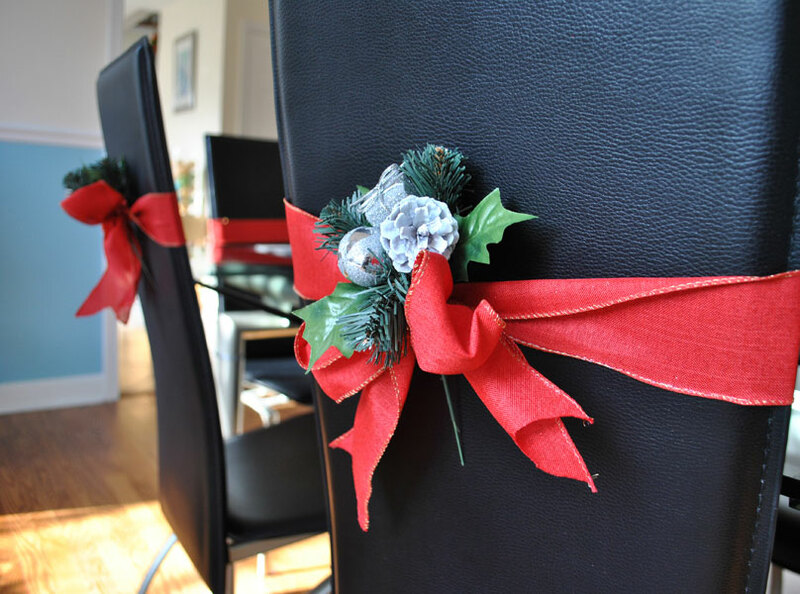 Holiday sprigs – we used pre-made bundles but you could easily use some festive greenery. 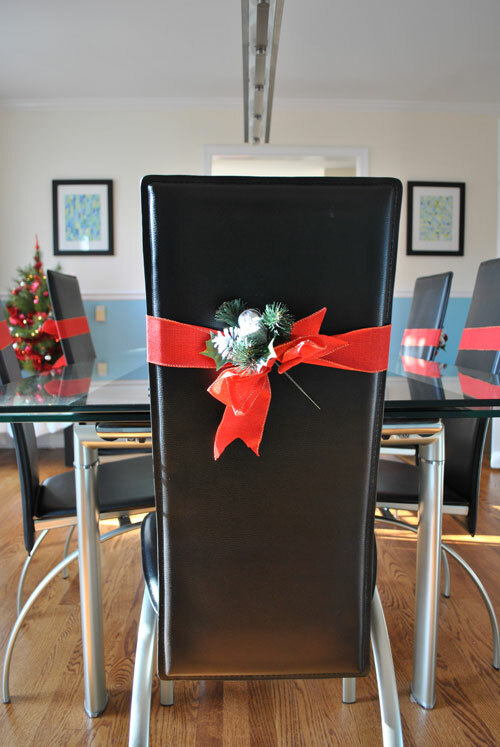 Cut a piece of ribbon that will go twice around your chair. Tie and knot then create your bow. 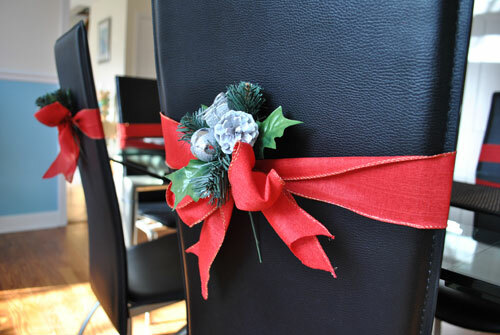 Snip the ends of the ribbon to create an inverted V. Thread your festive sprigs into the bow and you are done! 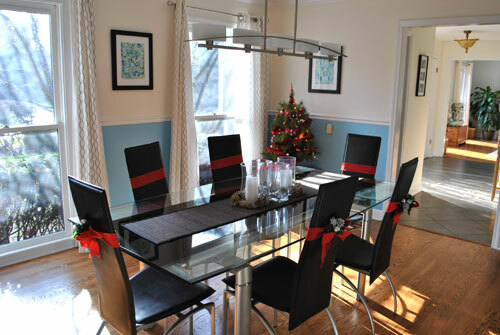 This dining room has come a long way from the sorry state it was when we first moved in. You can see it HERE. The most recent update we have made, was to change out the horribly traditional chandelier with some more in keeping with our modern dining table. 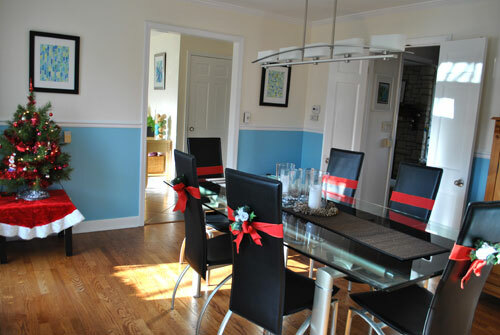 Now I need to get going with some festive food to serve up in this room! This entry was posted in Celebrate in Style, Christmas, Craft Projects, Decorative Accents, Holiday Projects, Home Decor, Teenager and tagged christmasdecoration, diningroom, red. Bookmark the permalink.